IRA distributions to trust beneficiaries are taxable, but you can defer some taxes. 2. How Much Money Can You Leave in a Trust Before You Have to Pay Inheritance Taxes? Transferring your individual retirement account to a trust would generate immediate taxation, because it would be viewed as a taxable distribution of funds. The Wall Street Journal notes that making a trust the beneficiary of your IRA is a valid estate planning strategy. You can avoid the typically higher tax rates applied to trusts, if trustees distribute balances to trust beneficiaries. According to both the Wall Street Journal and an estate planning lawyer at Nutter, McClennan & Fish LLP, this strategy will avoid estate taxes and possibly defer the income taxes. 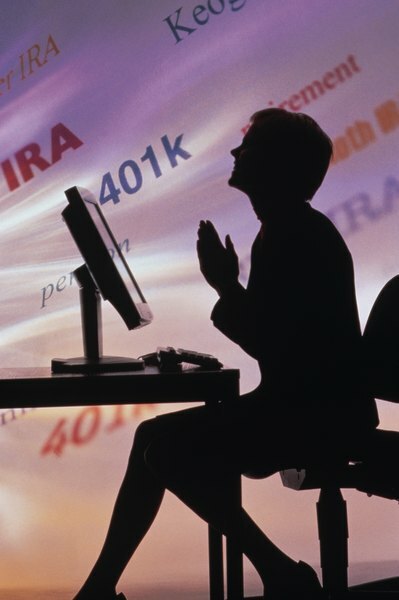 Most IRA distributions are taxable as ordinary income. Whether you withdraw money for yourself or distribute your balance to a trust or trust beneficiaries, the Internal Revenue Service considers this a taxable event. It may make more sense to name your spouse as beneficiary of your IRA, because your spouse can roll the balance into her IRA without taxation. For example, if your spouse is some years younger than the IRS mandatory distribution age of 70 1/2, you can defer taxation for multiple years. Depending on your spouse's age and the ages of your other heirs, you can name your spouse as primary beneficiary and a trust as contingent beneficiary, with your other heirs as trust beneficiaries. This combination strategy allows your spouse to roll over your IRA balance, while also protecting your other heirs by avoiding estate taxes as beneficiaries of the trust. This plan combines the best of tax deferral and advantages with the protection of a trust. The IRS has strict guidelines for creating trusts for beneficiaries of IRAs. Meeting these guidelines is as important as distributing the proceeds to the trust beneficiaries to avoid the higher taxation faced by trusts. To avoid trapping your assets in a trust, have a qualified estate planner design an IRS-qualified trust with specific language for appropriate beneficiary distributions. Noted by estate planning law firm Grefe & Sidney, P.L.C., a trust must satisfy four conditions to become designated as a beneficiary of an IRA. First, the trust must be valid in the state in which it was created. Second, the trust must be irrevocable or become irrevocable upon the death of the IRA owner. Third, trust beneficiaries must be clearly stated and readily determinable within the trust language. Fourth, you must advise your IRA plan administrator and give all trust documents to the administrator. According to estate planners Grefe and Sydney, P.L.C., using the lifetime expectancy method will defer income taxes on IRA distributions to trust beneficiaries over the life of the beneficiaries. This allows trust beneficiaries to also defer taxation as the account balance increases by the income posted from trust asset earnings. If multiple beneficiaries are involved, taxable distributions are made over the life of the oldest beneficiary. If you set up separate accounts for each beneficiary, distributions are calculated over the life of each beneficiary, delivering more benefits to younger beneficiaries. Do You Ever Put IRAs Into a Revocable Trust?